Until you are actually in the gunfight everything you have learned is just theory. 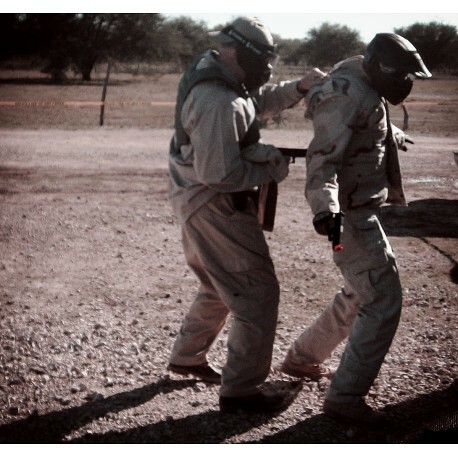 Hoffners Interactive Simulated Force Training is as close to the real deal as you will get. We will learn, validate, and prove, our skills while in real life conditions. You will gain the knowledge that what you are practicing works. That level of knowing and confidence is priceless in the fight and will assure you success and safety. These are the principles that determine life or death.